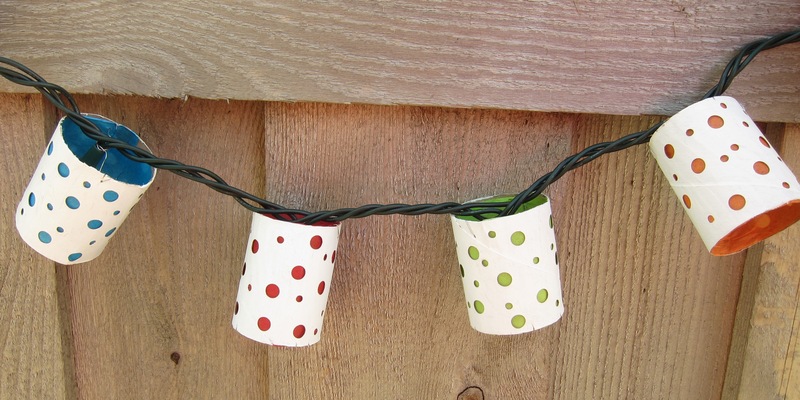 Here is a fun way to add a festive garland to a party that also adds some cool lighting when the sun goes down, Polka Dot Paper Lanterns. 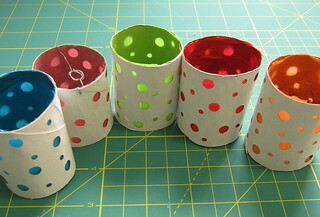 Even better, these will cost almost nothing to make because you use empty toilet paper rolls! I painted the rolls white and then lined them with some tissue paper I had saved with my wrapping papers. The colors of the tissue paper really pop against the white. 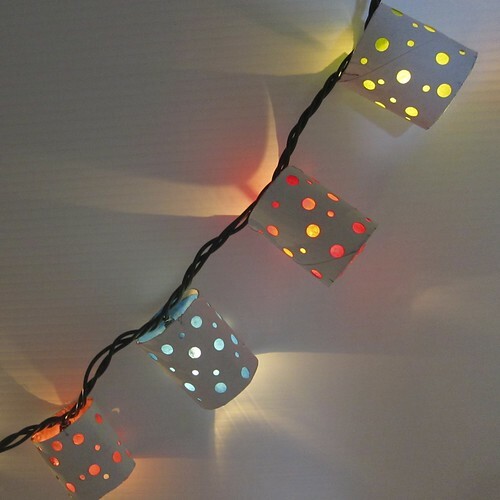 When they are lit up dots of colored light shine through the tissue. I have to say, it made me a little giddy the first time I plugged these in a dark room. 1. 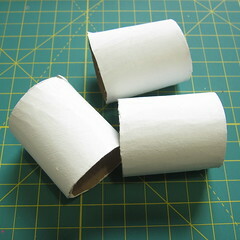 Using the exacto knife, cut the toilet paper tubes in half, to make approximately 2″ tubes. 2. If you are going to paint your tubes, do it now. Let dry. 3. Punch holes all over the tube. For fun I used two different size hole punches. 4. 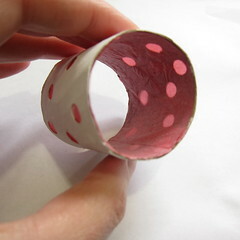 Cut a piece of tissue paper the height of the tube, approx 2″ and long enough to go around the inside of the tube. 5. 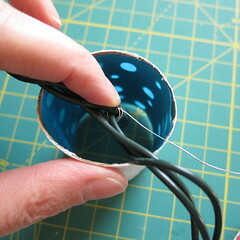 Put glue on the inside of the tube, making sure to especially get the top and bottom. 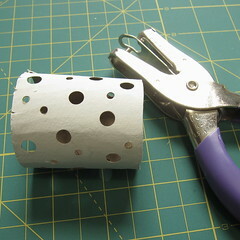 Glue the tissue paper inside the tube with the color facing out through the holes. Let dry. Trim if needed. Do them all in one color or mix it up like I did. 6. 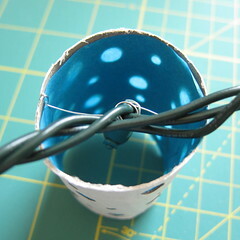 Put a small hole in on either side of the tube about 1/8″ – 1/4″ from the top of the tube. A straight pin does this easily. 7. 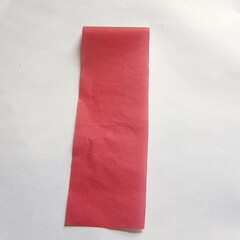 Cut a length of floral wire about 5″. 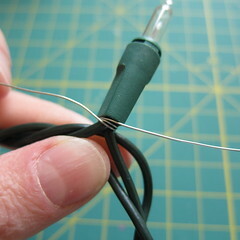 Wrap it around the bottom of a bulb on your Christmas lights. 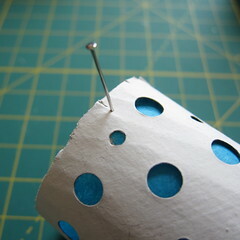 Put the ends through the holes you created in step 6 from the inside out. 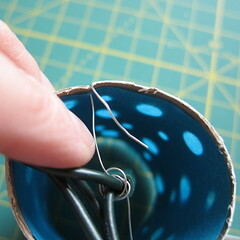 Center the bulb inside the lantern and bend the ends of the wire in to secure it. Hang and create a fairy land. *A note about the lights I used. I experimented with some different Christmas lights for these. At first I used the newer led lights which have a small bulb. The bulb is so small on those it doesn’t light up the whole lantern as well as I would have liked. I switch to the more traditional lights with the longer bulb and you can see how nicely it lights the whole thing. Just make sure you are using modern lights that don’t heat up. 6 years ago by Kat in Craft Projects , Crafts , Parties , Projects | You can follow any responses to this entry through the RSS feed. You can leave a response, or trackback from your own site. wonderful idea! Enjoy your birthday. AH! These are beautiful! May have to knock some of these up for my wedding next year! Thanks for the idea! 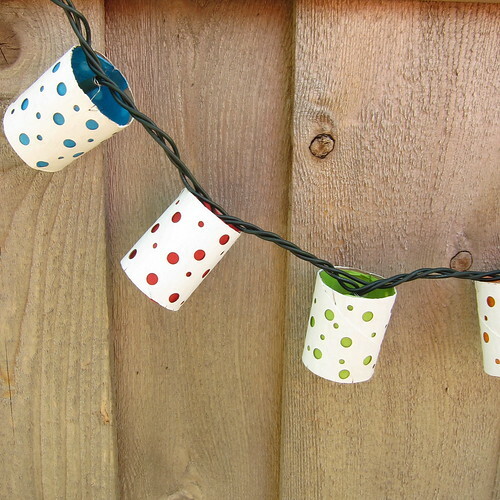 this is so clever, love the polka dots and reuse of materials! I CAME HERE VIA CRAFT GOSSIP NEWSLETTER ..
Are these a fire hazard? If you are using modern lights that are in good repair, they shouldn’t be since the lights don’t get hot.